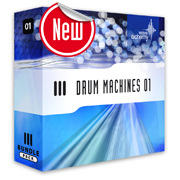 Drum Machine 01, Drum/Percussion Sample from Wave Alchemy. 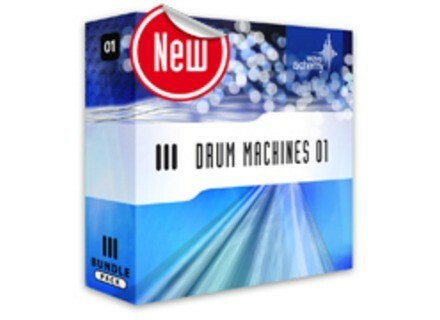 Wave Alchemy released Drum Machines 01 - 1400 drum samples. Offering a collection of drum samples from the Vermona DRM MK11, Jomox AIRBase99, Jomox MBase 11 and Jomox XBase999 drum machines, Drum Machines 01 has all its samples recorded through an API 512c pre-amp with a small selection of the sounds being sonically enhanced through the use of an Empirical Labs Distressor and high-end SSL equalizers. Visit www.wavealchemy.co.uk for more details. Virtuasonic MIJOY PRO 4 Virtuasonic has released version 4.0 of MIJOY PRO, its VST instrument plug-in for Windows designed to allow you to use a joystick or gamepad as a MIDI controller.